Whiskey cake with candied fruits is a popular Irish dessert that’s often served at Christmas or used for weddings and christenings. 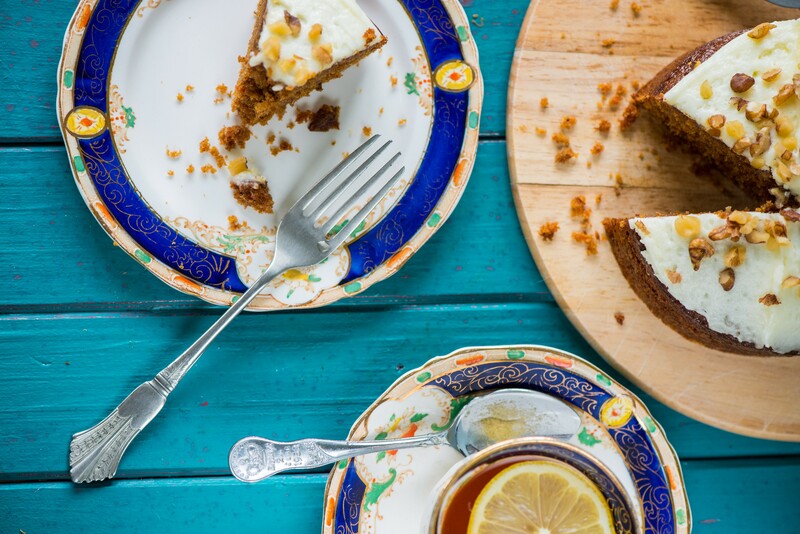 This recipe, which was first published in The Irish Heritage Cookbook, is much lighter and more like a spicy raisin cake than a heavy fruitcake. I’ve been making this all-occasion cake for more than 25 years with great success. This recipe was recently published in Favorite Flavors of Ireland. 1. Preheat the oven to 350° F/180° C. Butter a 9-in./23-cm springform pan and dust with flour; tap out excess. 2. In a small saucepan over medium heat, combine the raisins and water. Bring to a boil, and then reduce heat to medium-low and simmer for 20 minutes, or until the liquid begins to thicken. 3. Drain, reserving ¾ cup/175 ml of the liquid. Set aside to cool. 4. In a medium bowl, sift together the flour, baking powder, baking soda, cloves, nutmeg, allspice, and salt. Set aside. 5. In a large bowl, beat the butter and sugar with an electric mixer on medium until light and fluffy. 6. Add the egg and beat until smooth. 7. Fold in the flour mixture alternately with the reserved liquid. 8. Stir in the raisins, walnuts, and whiskey. 9. Pour into the prepared pan and bake for 30-35 minutes, or until a skewer inserted in the centre comes out clean. Remove from the oven and let cool in the pan on a wire rack for 15 minutes. 10. Release the sides of the pan, invert the cake, and remove the wax paper. Return the cake to upright and let cool completely. 11. To make the icing, in a large bowl, beat the butter and sugar with an electric mixer on medium until smooth. 12. Add the milk and whiskey, and beat until blended. 13. With an offset spatula, spread the icing over the top and sides of the cake. Garnish with walnut halves, if desired. 14. Let the icing set for 15-20 minutes before cutting the cake. 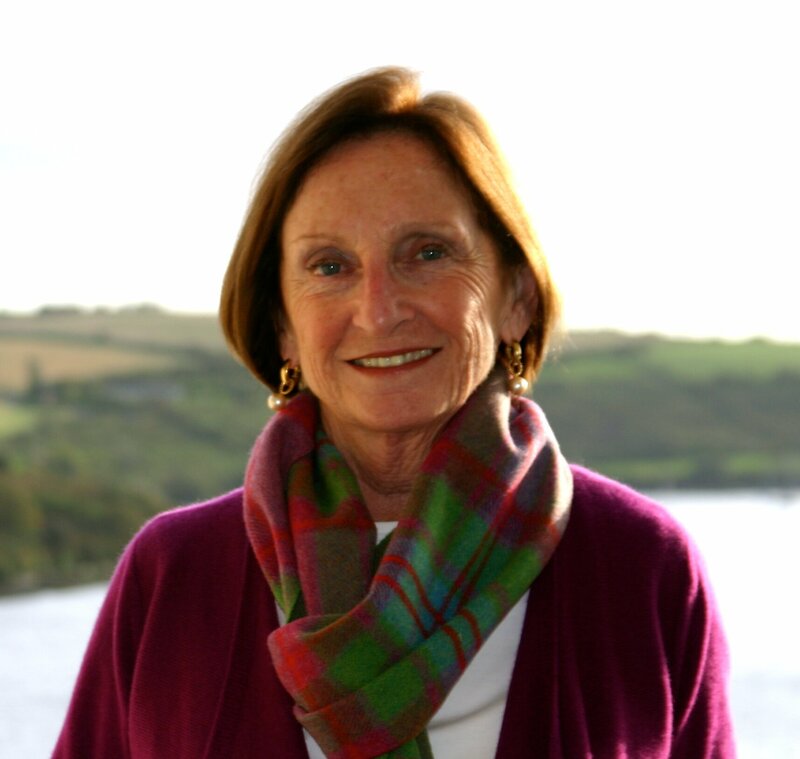 Margaret M. Johnson is an American author who has devoted her career to Irish cuisine. Her love for Ireland has produced several cookbooks dedicated to promoting traditional and modern Irish recipes and produce including: Christmas Flavors of Ireland (2013), Flavors of Ireland (2012); The Irish Pub Cookbook (2006); The Irish Spirit (2005); The New Irish Table (2003); The Irish Heritage Cookbook (1999); Cooking With Irish Spirits (1995). In tribute to her thirty year love affair with Ireland her latest collection is entitled ‘Favorite Flavors of Ireland’ and is a retrospective, looking back at her most loved dishes. Perfect for food lovers at home and abroad, Margaret’s book is a veritable tour of the country, taking you on a journey through the seasons. Read more about Margarets love for Ireland here.